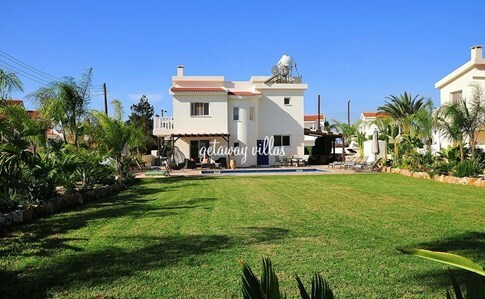 Ayia Thekla is a lovely area, very much residential and/or holiday villas. The beach at Ayia Thekla is absolutely stunning. Beautiful sand, turquoise sea and a little island you can walk out to. The water is only waist deep. There are some watersports and a lovely little beach bar called Seahorses which serves very nice reasonably priced snacks and drinks.A small church on the top of the hill overlooking the beach and one of the oldest (if not the oldest) churches cut into the rocks and is still used today. There is also a Wednesday market at Ayia Thekla near the beach. Kite surfers and paragliders also use Ayia Thekla beach for practice and it is a popular spot for jogging and walking along the coastal pathway. In Spring the area is a riot of wildflowers and the sea shore is very pretty. 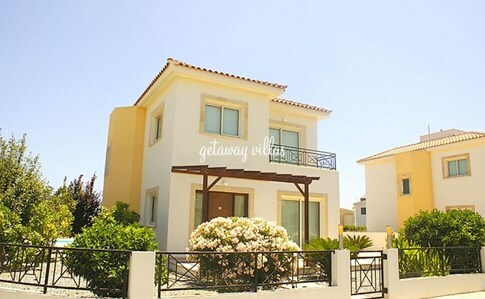 Nissi Avenue is approximately 6 kilometers long and there are plenty of restaurants on route. Regular buses to and from the waterpark and into Ayia Napa which cost about 1 euro or a taxi would probably be around 8 to 10 euros one way. The huge Waterworld water park is a great choice for a family day out, or you could try a trip on a glass-bottomed boat to see the area's marine life and sea caves. As you may expect, there are plenty of places to go in the evenings in Ayia Napa, including a selection of family-friendly pubs and restaurants that serve traditional Greek cuisine or locally-caught seafood. If you get the chance and want to do an excursion the Red Bus Tour which picks up in Ayia Napa is highly recommended. Lovely half day out on an open top bus which takes you round the little Cypriot villages and up to the "green line" to view Famagusta.